The Heavenly Prophecy, Other CD & Sound Bank from Musicrow. 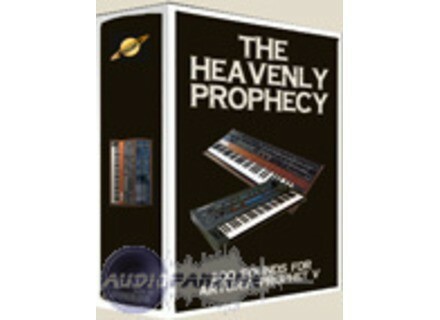 The Heavenly Prophecy is a collection of 200 sounds for Prophet V.
This product is the fourth in Musicrow’s series of soundsets for Arturia vintage synthesizer recreations. Musicrow says the sounds were designed to take the classic tone of two vintage synthesizers, the Prophet 5 and the Prophet VS, and "spice them with innovative edges." A demo bank with 20 functional presets is available. The Heavenly Prophecy is available now for €35. For more info, check out Musicrow at www.mcrow.net and www.mcrow.net/soundsets.htm. Sound Trends Looptastic Producer Sound Trends has released Looptastic Producer, an iPhone music-production app designed to let people import their own audio loops from a PC or Mac.